View Poll Results: What should Xsyon do with basketry? I really dislike the basketry craft. It seems like it's a pointless craft that really could improve other crafts where they are needed, if it were to be merged with them. I'd rather have a toolcrafter find scrap metals and plastic to create pots and pans for all I care. This game needs to have a more modern touch for the trash that we're accessible to. Even a scavenger should be able to find modern containers in the trash piles. In addition, leatherworker should be making us backpacks and tailors should be taking the ability of making "baskets" since it involves weaving. Maybe having the tailor evolve from grass crafts to cloth crafts. There is no real reason to have a useless craft like basketry. All they do is spam baskets until the overall appeal of the game gets awkward. I disagree. I view basketry as weaving, and tailor more as sewing. I dont know any tailors that are good at basket weaving, tailors work with fabrics, typically, not grass or cane or bamboo, which is what basketry (weaving) centralises on. I think basketry is a very useful skill, and should remain so. I do think that some skills in this game are named incorrectly though. I disagree. I view basketry as weaving, and tailor more as sewing. In order to sew, you need to first weave so that you can have a proper fabric. Sewing also involves cloth, leather, furs, bark, or other flexible materials (which can be grass). I dont know any tailors that are good at basket weaving, tailors work with fabrics, typically, not grass or cane or bamboo, which is what basketry (weaving) centralises on. The tailors today don't use their hands to make clothing, they use machines. If they're in a setting where ruined cloth was the only accessible resource, I'm sure they'd eventually start using grass. No one is debating that basketry and tailoring are the same thing. Were simply saying a craft dedicated to making baskets doesn't really make long term sense for a game that has piles of scrap modern materials laying around. I kind've have to agree. It should be broken up and added as a craftable over several professions. I'm not sure what the plans are for it but, yes, I agree at first sight it appears to be a minor craft whose functionality should be split across the other crafts. On the other hand it could also be a minor craft for someone who prefers to fight and explore, not to craft too much. 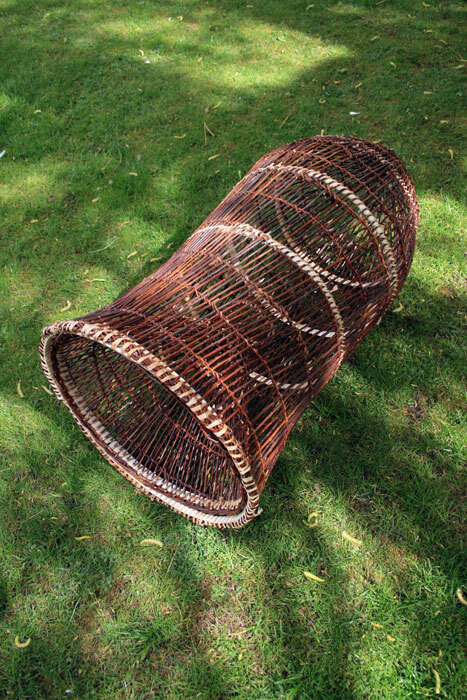 Basketry does not need to be limited to grass weaving, though I agree it needs more attention. Basket weavers could also make items using branches, sticks, twigs and strips of wood. Willow makes for a good basketry material. Many products can be made with Basketry methods. Some examples: Fish Traps, Shields, Furniture, Panniers for mounts, Fence Sections, Wattle & Dob housing components, Frames for small watercraft, etc. The only thing that I honestly would like to see, is fish traps. As for the rest, we have a woodcrafter for furnitures and what not. Stealing another craft's role wont make basketry any better. We don't need another armor type (grass?) and we don't need a craft that mainly designs baskets. That is why, it deserves to be removed.